Every week we have been posting a lot of questions on GeriPal about some of the biggest issues in geriatrics and palliative care. These range from how to define our professions (both in geriatrics and palliative care), how to communicate with patients and family members, and how best manage serious progressive illness. The thing is, it turns out to be a lot of work to think through these questions. What is the difference between palliative care and hospice? “I don’t know that. Would you like to search the web for it? I am laughing so hard tears are rolling down my cheeks. More, more! I generally enjoy GeriPal but found this a waste of my very limited time. 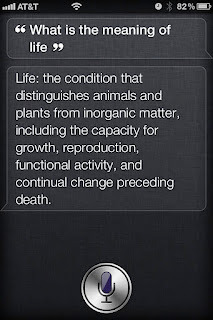 To the contrary of the previous Anonymous comment, I found this to be a brilliant use of the new Siri system and makes a funny yet provocative observation that both man and machine are finding it very difficult to define the work that those of us in palliative care do. Since man programs the machine (and populates the information out there on the internet), it is obvious that society has not come up with a consensus on how to answer most of these questions. Thanks Eric and crew for consistently challenging us to think in new and creative ways about these issues. 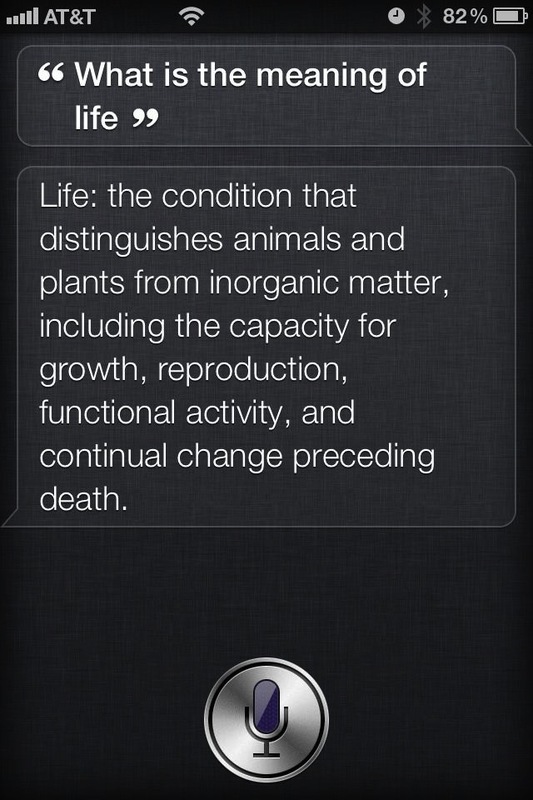 2) That iPhone users would ask Siri this question.